Cambridge, Mass. – September 10, 2012 – For wiring up the human body with "electronic tattoos," Nanshu Lu, a 2009 Ph.D. graduate of the Harvard School of Engineering and Applied Sciences (SEAS), has been recognized by Technology Review magazine as among the world’s 35 top innovators under the age of 35. A panel of expert judges and the editorial staff of Technology Review, published by MIT, selected her for the TR35 from a pool of more than 300 nominees. Most celebrated for her work on the "electronic tattoo," Lu is an expert at integrating tiny electronic parts into stretchable materials. Her creation is an extremely thin and flexible silicone device that adheres to skin and mimics its texture and elasticity. The device contains sensors that can monitor vital signs like pulse, temperature, vocal vibrations—and potentially also brain signals. The breakthrough that enabled this work was Lu's use of silicon "islands" connected by a mesh of nanoscale metallic ribbons, rather than conventional wires, which would weaken under stress. Holding a bachelor's degree in engineering mechanics from Tsinghua University in China, Lu completed her master's and doctoral degrees at Harvard, focusing on solid mechanics with advisers Zhigang Suo and Joost Vlassak. Their work explored various ways to create patterns of metallic thin films on elastic substrates that could stretch and buckle without breaking the circuitry. 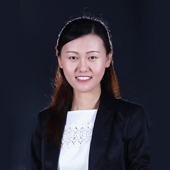 After receiving her Ph.D., Lu conducted postdoctoral research at the University of Illinois at Urbana-Champaign. She co-led research, published in 2011, that resulted in a ballooncatheter, a medical device that inflates inside the body, with tiny, integrated electronic components that can safely stretch with the device and monitor heartbeats, pressure, and temperature, making heart surgery safer and more efficient. The same year, she co-led the work that became known as "electronic skin" or "electronic tattoos." She is now an assistant professor in Aerospace Engineering and Engineering Mechanics at the University of Texas, Austin, where her current research involves developing a more advanced balloon catheter, with new types of integrated sensors; perfecting the electronic tattoos; designing unconventional, flexible strain gauges; and exploring new ways to integrate stiff and brittle materials like ceramics into stretchable substrates. Lu is not the only SEAS alum to be recognized in the TR35 this year; Pratheev Sreetharan, Ph.D. '12, was also honored for his pioneering work in pop-up robotics. The TR35 winners for 2012 are all featured in the September issue of Technology Review and will be honored at the 2012 Emerging Technologies Conference, called EmTech, to be held at MIT in Cambridge, Mass., on October 24–25. Past TR35 winners affiliated with SEAS include Robert J. Wood, Charles River Professor of Engineering and Applied Sciences; Donhee Ham, Gordon McKay Professor of Electrical Engineering and of Applied Physics; Erez Lieberman Aiden ’10 (Ph.D.); Aaron Dollar ’07 (Ph.D.); and Kurt Zenz House ’08 (Ph.D.), who worked with faculty member Michael Aziz, Gene and Tracy Sykes Professor of Materials and Energy Technologies.